This is a Sponsored post written by me on behalf of DecoArt's Ink Effects for Blueprint Social. All opinions are 100% mine. There are a lot of ways to transfer images to fabric nowadays. However, they aren't really many options to transferring freehand images. 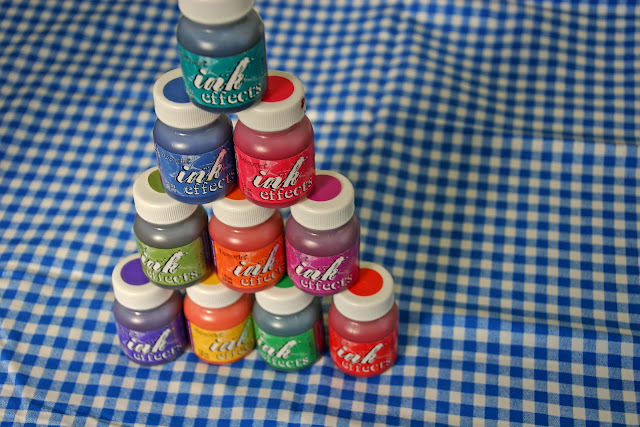 DecoArt's Ink Effects paint is a great way to transfer a hand-drawn image onto a shirt WITHOUT all the stiffness that comes with other image transfer options. What I liked about Ink Effects was that you can also do this with your kids. If you have your kids paint with the Ink Effects paint instead of regular paint, you can take whatever they draw and transfer it to fabric. 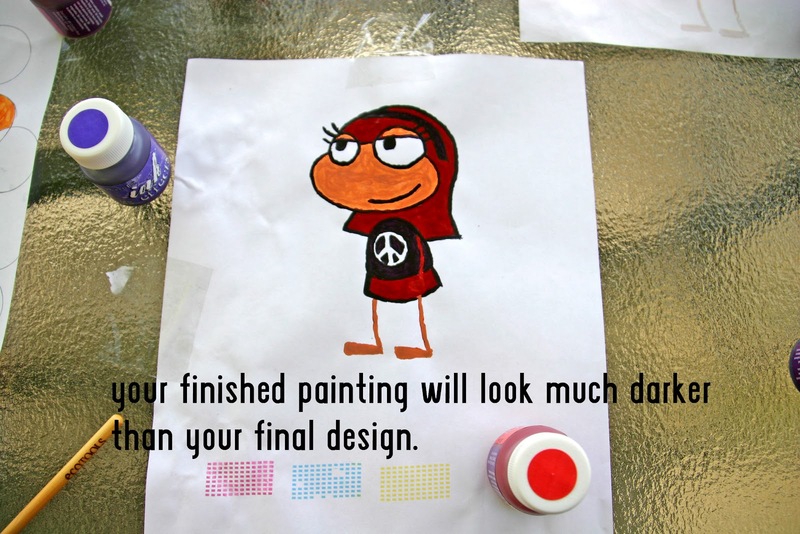 You can choose for them to do a freehand design in which you don't help them at all with the design or you could have them color in a traced design of their favorite cartoon character. Maybe a Disney Princess? 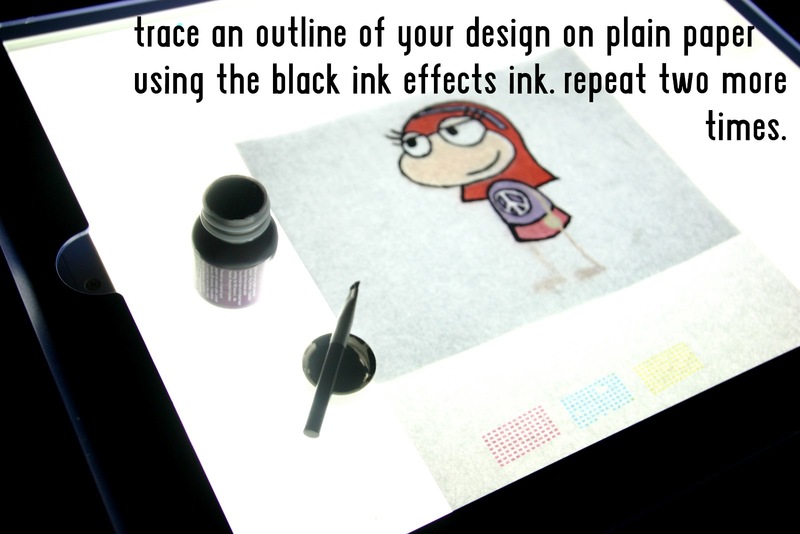 See the image tutorial below for the how-to process of using the Ink Effects ink. 1. 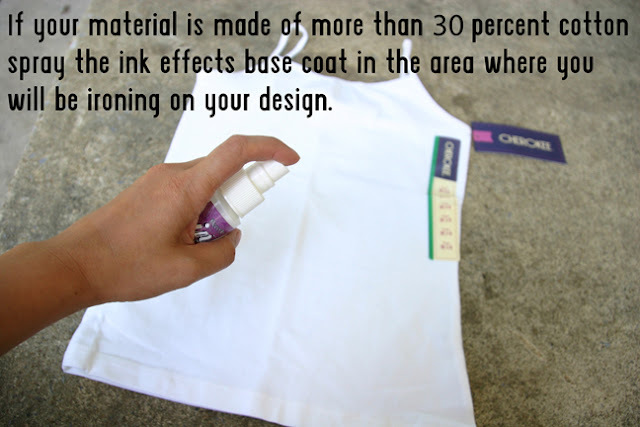 If you are using fabric that has more than 30% cotton you must use the Ink Effects base coat spray. It really helps. 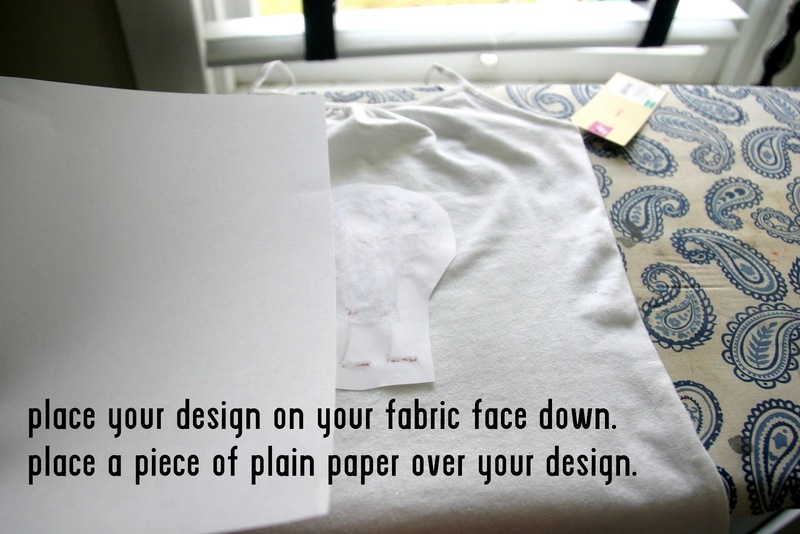 And don't spray it over the entire garment, just the place where you plan on putting the design. The substance is sticky and will stay that way even after it dries. 2. 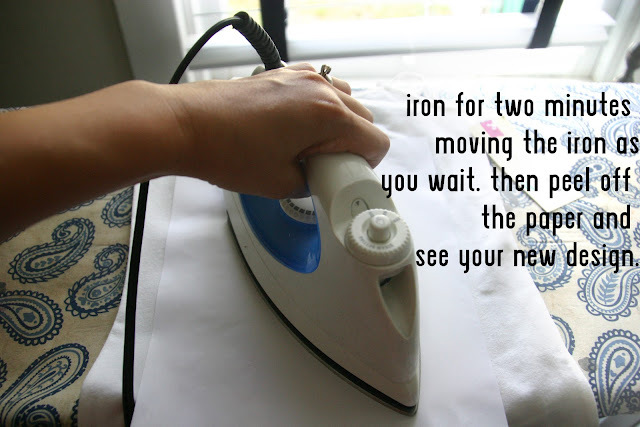 Don't leave the iron on the fabric too long or the base coat spray will turn yellow. 3. Absolutely put three coats of ink on your design. It will look all washed out if you only use one. 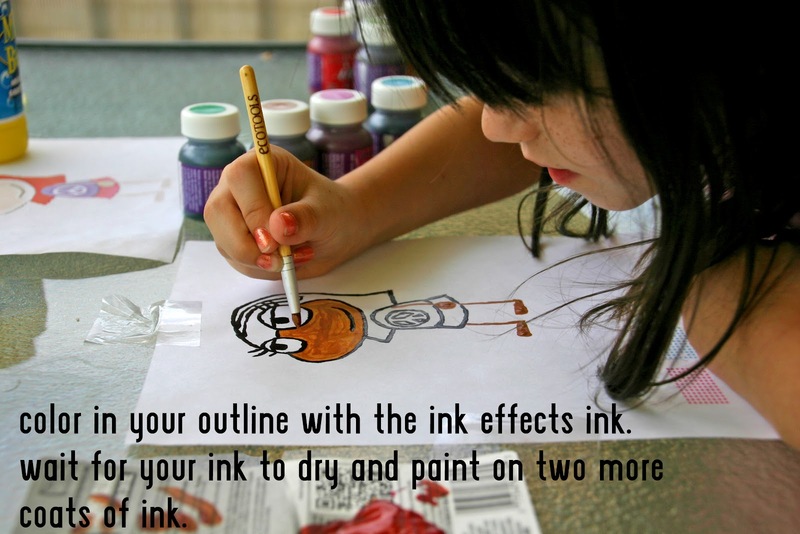 For more tutorials and links about ways to use Ink Effects check out their other pages. 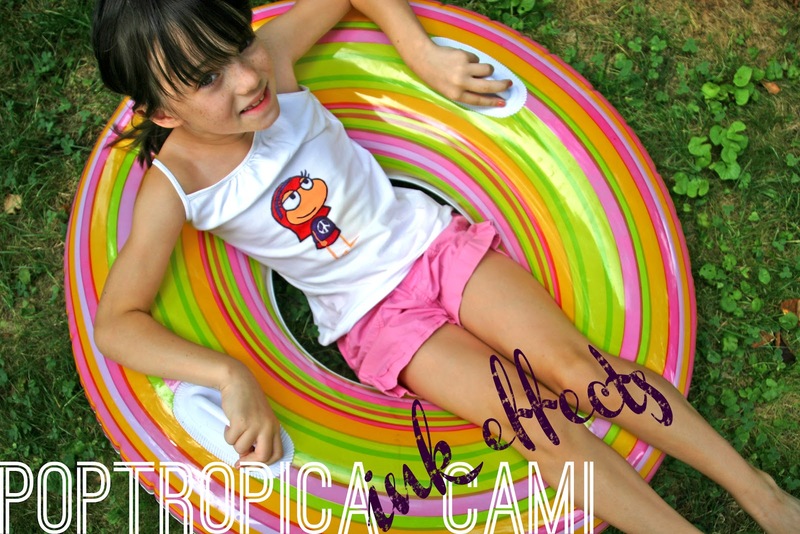 To see other great Ink Effects Projects check out these links! This looks amazing!! What happens when you don't use the spray? I want to use a cotton fabric, but I'm not sure about using the spray. @Bargain HootIt soaks up the ink more. The look is supposed to be more washed out if you don't use it. I haven't tried without the spray so I can't tell you from experience. But if you do decide to try it without the spray let me know how it worked for you.